Yes, but: The policy he outlined in a speech this morning has almost no chance of working. It's likely to further alienate the U.S.'s European allies, boost China as a global economic and political power and gladden Iranian hardliners looking for more reason to restart proscribed nuclear activities and to continue their interventions in the Middle East. Pompeo conceded that the demands “may seem unrealistic” but insisted, without providing any evidence, that they would achieve buy-in from U.S. allies. 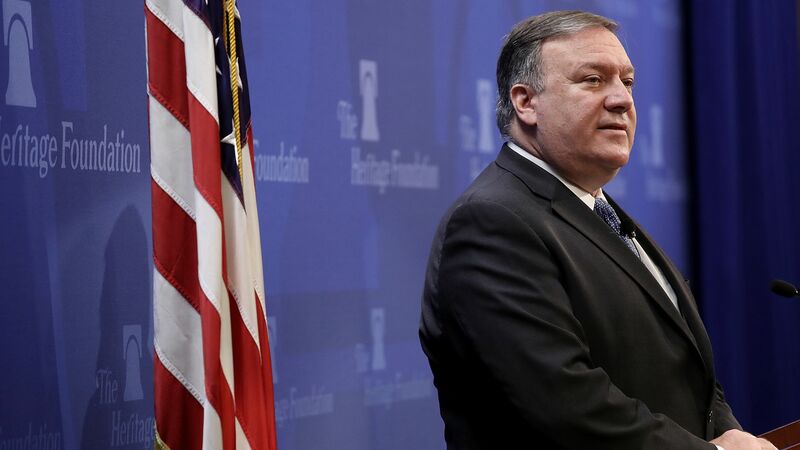 Even the president of the conservative Heritage Foundation, where Pompeo spoke, could not conceal her skepticism in follow-up questions about the willingness of the rest of the world — which still supports the 2015 deal — to get with the U.S. program. The bottom line: By withdrawing from the Iran nuclear deal, the Trump administration has likely paved the way toward two major nuclear crises — in the Middle East and Northeast Asia — with no realistic strategy to resolve either.